The DVD release of The Family Fang is now available from Anchor Bay Entertainment. This is a repost of our coverage from the 2016 Tribeca Film Festival. Performance artists. What good are they anyhow? It’s not like they put their lives on the line or make a strong statement about anything going on in current events. It’s not like they tend to become wildly notorious for their acts, nor do they leave a mark on younger generations. But the question is, what happens to their kids? 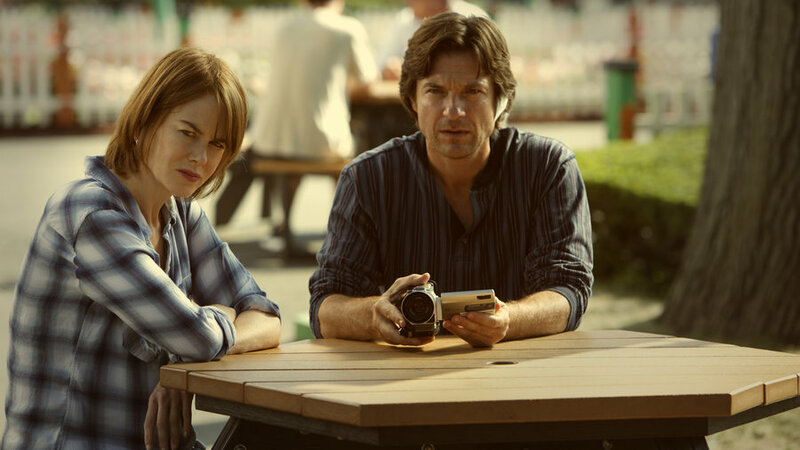 That’s what The Family Fang sets out to solve, the second directorial feature from Jason Bateman after 2013’s Bad Words. Bateman stars as Baxter Fang, the brother of Annie Fang, played by Nicole Kidman. They are affectionately called “Child A” and “Child B” by their parents Caleb and Camille, played by the one and only Christopher Walken and Maryann Plunkett — who also has another film, Youth in Oregon, premiering at the 2016 Tribeca Film Festival. Annie and Baxter are finally all grown up and far away from their parents’ shenanigans, playing an aging actress and a writer/reporter, respectively. All goes haywire after Baxter gets shot with a potato (rednecks), causing not only Annie to come see him, but his parents as well. After Caleb’s plan to get the family back for another stunt goes wrong, we witness the mysterious disappearance of the two, as Baxter and Annie endlessly quarrel to decide whether their disappearance is real, or one last hurrah in the stunt community. In a rather poignant tale of kids trying to find their parents, Bateman and Kidman shine as the cynical brother-sister duo set out on their journey to discover the truth, and uncover their family’s secrets. The film contains the perfect formula of flashback sequences and found footage scenes combined with extraordinary present (and possibly future) situations that keeps the viewer glued to the screen. In fact, Bateman proves his direction as remarkable at the very least, giving the drama and comedy film a suspenseful and skeptically ominous feeling, all the while leading to a shocking conclusion. I truly cannot applaud Bateman enough for directing a film that keeps the audience guessing at every turn. Even from the beginning we get the impression his parents are missing, only to find the event had not yet happened, and with every plot point, we discover new information that completely writes-over the old. With an excellent adaptation by David Lindsay-Abaire (Robots) from Kevin Wilson’s novel of the same name, you can be sure to expect an entertaining ride through some quirky characters and the unknown. The Family Fang is in theaters now after premiering at the 2016 Tribeca Film Festival. Catch the trailer below and be sure to watch the film soon.